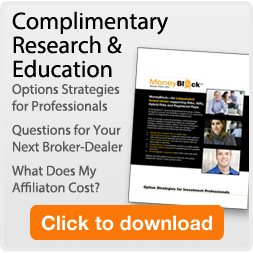 MoneyBlock's online brokerage platform was built exclusively for our reps and advisors and their clients. They told us what tools and features they needed to efficiently and cost effectively manage their accounts and we listened! Whether placing a simple order or an advanced order, servicing a self directed account or entering a block trade across multiple accounts, it doesn't make a difference. Through our proprietary platform, our reps and advisors can virtually manage their entire business online. JUST RELEASED! SUBACCOUNTS**. Subaccounts allow advisors to segregate and allocate a percentage of the portfolio to one or more core portfolio strategies, one or more shorter-term tactical strategies (like option overlays), and even to self-directed trading. Subaccounts improves visibility as advisors can consolidate activity into fewer accounts and fewer monthly statements. And when used in conjunction with MoneyBlock's Group Trade to execute and allocate trades, advisors can operate more efficiently and cost effectively. MoneyBlock also offers institutional-grade execution services, trading platforms and support services catering to asset managers, fund managers, active investment advisors and small broker-dealers. Platform Flexibility: In addition to our proprietary brokerage platform, MoneyBlock also offers a wide range of third-party execution platforms, each offering simple trade allocation interfaces for all equity and complex option order types. Hands-on Risk Management: MoneyBlock helps asset managers monitor pre- and post-market risk, and provide the maximum allowable exposure while protecting asset managers and their clients. Market Connectivity: Custom FIX connectivity and low latency access to all US market destinations. Automated Daily Reports: Delivered via FTP, email or via 24-hour online access. Profit/loss, cost basis, and performance reports can be customized with asset manager and/or fund administrator input.